God is actively pursuing the nations, and we want to join Him! We would also love to support you in your personal short-term trips through prayer and funds. Summer 2019, there are several opportunities for individuals to do International Missions in Cambodia and Germany. Play soccer and have a heart for Sports Ministry? 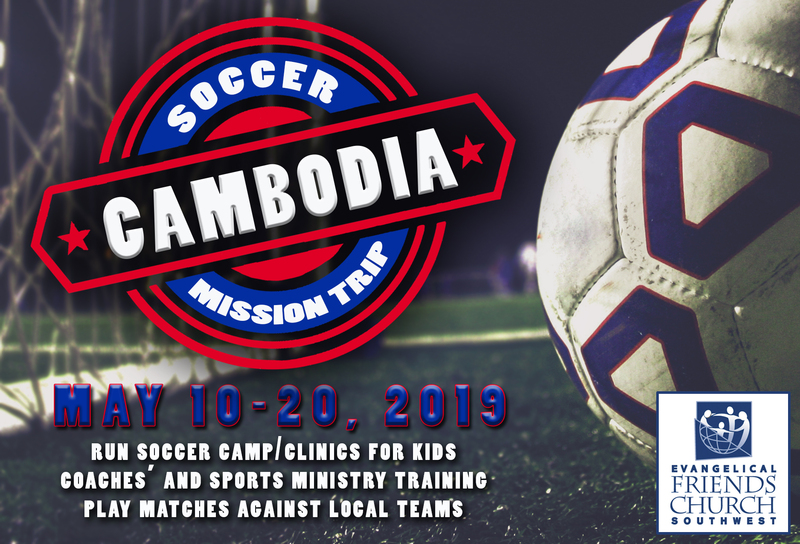 Go to Cambodia to put on camps for kids, train coaches/ pastors in Sports Ministry and play matches with local teams. Enjoy working with High School students? Go to Germany and serve at Sprachcamp to teach English and connect with High School students who are hungry for the Gospel. By God's provision, we support many "cross-cultural workers" with our resources and prayers. As Christ's Body, we find great joy in partnering with individuals, families and organizations to bring Good News to all nations. *Some last names and locations are not be shared for personal and safety reasons. Preached the good news of Jesus in every single nation in the world! Ray is now retired. Faith Promise has been a tradition at Granada for over 40 years. It's an opportunity for the congregation to prayerfully seek God's guidance in giving to missions over the next year, in addition to regular tithes and offerings. It's an adventure of faith, trusting that God will provide additional means throughout the year to give specifically towards missions. These commitments are not monitored - it's between each person and God. Prayerfully consider how God may be leading you to bless Granada's missionaries through a Faith Promise Commitment. Join the Prayer Team for our missionaries! There are some practical ways you can be involved. As you feel led, pray daily, weekly or monthly for our missionaries. Join us for a Concert of Prayer focused on missions every 3rd Sunday in Joy Hall @ 6pm. To receive the current month's prayer requests from our missionaries, please contact our Missions Coordinator (ben@ghfc.org).